The best camping weather occurs in the spring and fall when temperate days allow for hiking, bike riding and other outdoor activities. The downside occurs when the sun sets and temperatures drop to the 40s and 50s. Campfires warm an area but tents remain cold. 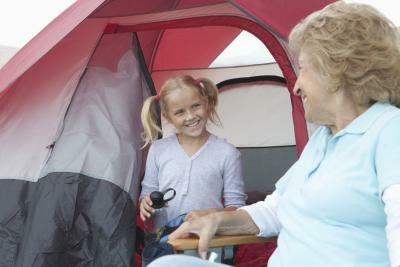 Several manufacturers offer heaters that are safe to use inside of tents. The military knows how to keep soldiers warm. Operations occur in tents capable of holding up to 20 people. These tents require industrial-grade heaters. The H-45 space heater provides up to 45,000 BTUs of heat and is a self-contained heat source. The heater burns a variety of fuels, including wood and coal. The military uses the H-45 for small, medium and large tents. The SHS (space heater small) heats a five-person tent. Most liquid fuels work with this heater to provide 12,000 BTUs of heat. 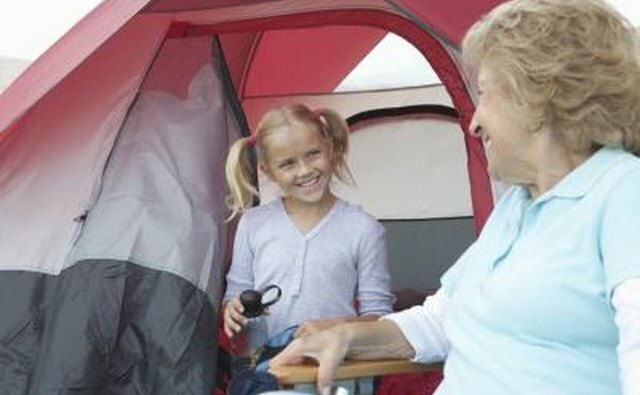 Coleman offers two popular and relatively safe heaters for use inside of a tent. The BlackCat weighs around 4 lbs. and produces around 3,000 BTU's of heat. 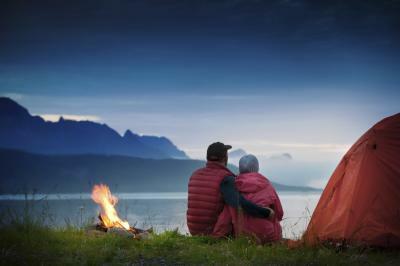 The flameless heater works with propane, giving off very little carbon dioxide and can heat a six- to 10-person tent. The PowerCat uses the same method of heat as the BlackCat. The PowerCat comes with a fan powered by two D-cell batteries and uses an 8 oz. propane canister for fuel. The PowerCat also heats a six- to 10-person tent, but with the fan, it circulates the heat better. Mr. Heater ranked high in a review on Hub Pages for its ability to heat standard-size tents up to 100 square feet (10-foot by 10-foot). The lineup offered by Mr. Heater includes the Big Buddy, Little Buddy and Portable Buddy heaters, with the Little Buddy being the only one that declares itself to be indoor safe on the packaging. The whole lineup of heaters uses 1 lb. propane canisters and flameless heat. Mr. Heater's line of heaters also comes with tip-over and low-oxygen sensors, making them ideal for closed-in environments.